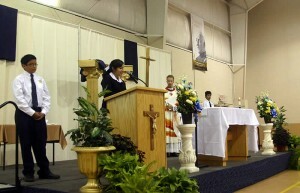 Our mass in celebration of the canonization of St. Andre was a wonderful service. The new gym was beautifully set up for this special occasion. Father Bill was the celebrant. 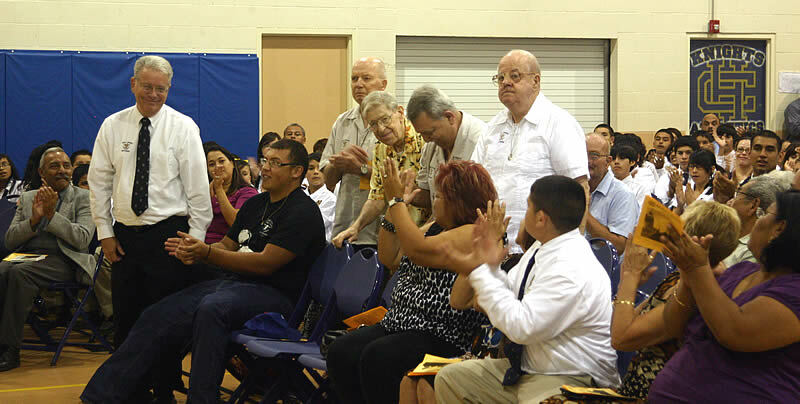 Before the final blessing, the Holy Cross Brothers in attendance were recognized. Thank you Brothers for your lifelong devotion to the Holy Cross mission and thanks to everyone who made such a wonderful day possible. 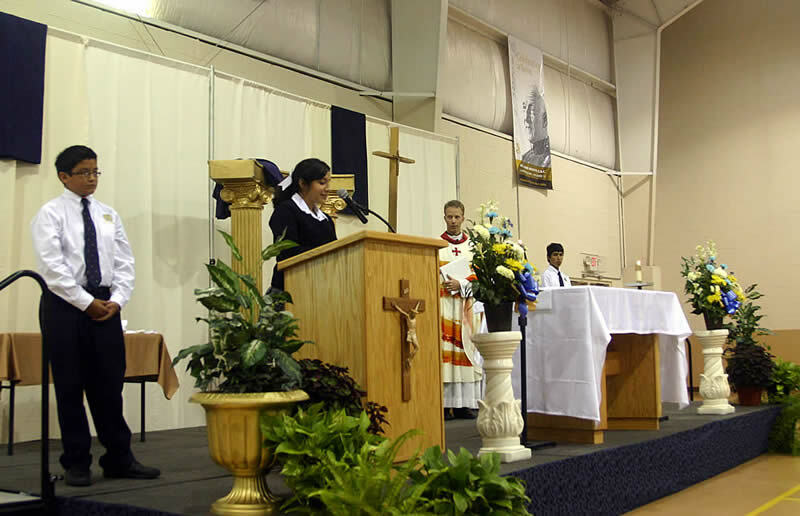 Thank you for attending the St. Andre Bessette Canonization celebration and Mass. We are blessed to be part of the wonderful mission of the Holy Cross order. Thank you also for your kind words and support. 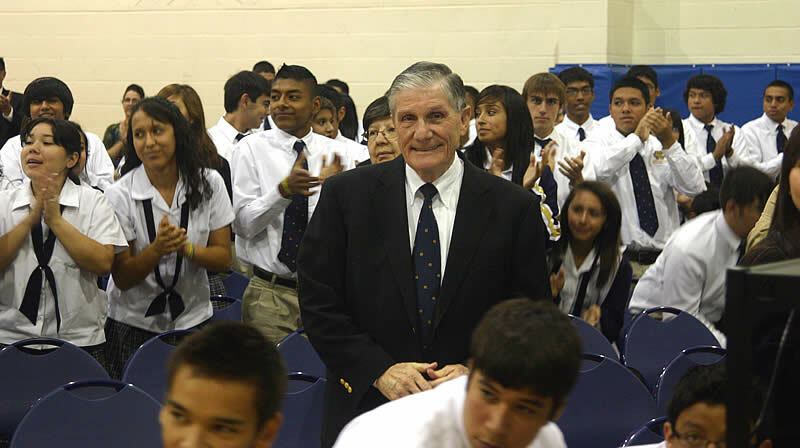 The celebration was truly beautiful and the spontaniety of the student response to the introduction of the Brothers of Holy Cross was tremendous. Thanks once again to the Holy Cross Brothers and all who put their spirit, heart and soul into the Holy Cross Mission. What a wonderful mass to celebrate the canonization of St. Andre. My grandson, Hunter Michael Silva – 9th grade, was honored to have been asked to say the intercessions for this mass. I was deeply moved by the beautiful mariachi music and the wonderful words spoken by Father Bill. Focused on the cross and in Christ, I remain sincerely, Ms. Joycelyn Jasso-Cavazos.